Telecommunications networks involve more than just a company’s phone lines. 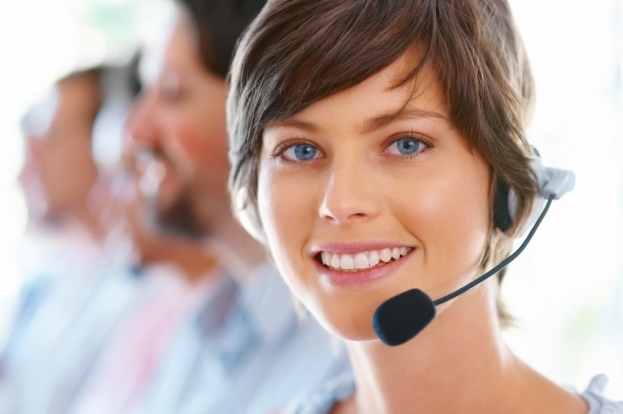 Modern business telecommunications networks include traditional landline and cellular connections, Internet service, VOIP, mobile data, and more. The needs of every business are different, and a one-size-fits-all approach to telecommunications networks is bound to fail. To get the most out of a telecommunications network, and to keep prices low, companies need to optimize their network to meet their individual needs. By creating bespoke telecommunications networks, businesses can ensure they have the infrastructure they need to take care of current telecommunications needs and have room to grow in the future. Customized telecommunications options also aid businesses’ bottom line by ensuring that they do not pay for services they do not need. Telecommunications expenses represent large expenditures for many businesses. As telecommunications services continue to evolve and offer more options to customers, these costs will only increase as the demands of modern business require companies to adopt these services or get left behind by their competition. For example, just a few years ago, few businesses needed access to email and the Internet via cell phones and mobile devices, but today, many companies cannot do business without this capability. Although telecommunications costs can be high, the cost of being without the telecommunications resources your company needs can be greater. According to a survey by Infonetics Research, large companies can lose up to 3.6 percent of their annual revenue because of network downtime. When companies are unable to access their phone or Internet communications networks, they’re unable to complete important business tasks. Business is interrupted, employees are unproductive, and delays and inconveniences to consumers can hurt their business reputation. By getting network design right from the beginning, companies can minimize outages and downtime, allowing them to avoid losing sales and customers. Getting the right services and finding the lowest cost for services can help companies hold their telecommunications costs down and ensure they have a reliable network that provides the services they need when they need them. Finding ways to standardize software, equipment, and processes to avoid purchasing unnecessary equipment and software. By finding commonalities and efficiencies, costs can greatly be reduced. Finding providers of voice service, mobile data, etc. that meet the clients’ budget and service needs. VOIP analysis that studies whether VOIP is a feasible option and what infrastructure and service provider would work best for the client. Cloud conversion analysis that studies whether the company would benefit from cloud computing solutions. Automation studies that find ways to automate various tasks, allowing staff to concentrate resources on more important and productive areas of the business. Designing networks that are easily compatible with a variety of service providers, giving clients an opportunity to switch providers should an attractive opportunity arise or should one provider’s services prove unsatisfactory. Designing networks with future growth in mind. Networks that only consider today’s needs will create problems and be expensive to replace tomorrow. Network optimization specialists can create networks that are scalable and adaptable to a changing business environment. Provide advanced reporting solutions. Having the capability to drill down and see where costs are occurring gives companies the opportunity to save on expenses. Create contingency plans for crises or major events. Networks need to be flexible and capable of adapting to unfortunate circumstances. 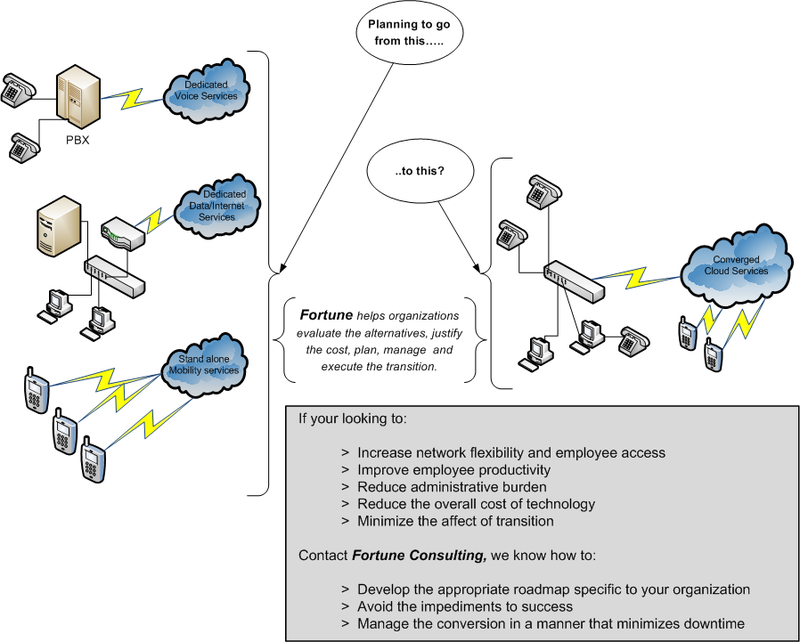 Fortune Consulting provides telecommunications and IT network consulting services for clients, helping them find the right infrastructure and service providers to optimize their networks. Independent of carriers and equipment providers, Fortune shops around to find a custom fit for clients that meets their individual needs. Fortune can help owners of legacy systems, as well as business owners installing new telecommunications systems, optimize their networks for improved results. According to company insiders, Fortune can help companies save about 20 percent on average for telecommunications and IT services. Some companies have even saved as much as 47 percent by going with Fortune.